It started with two deaths in 24 hours and now 2018 could prove more deadly than the 2017 toll on New Zealand roads. Ministry of Transport figures show 325 people have died on New Zealand roads so far this year. However those figures were only until Friday, and there have been at least five more deaths on New Zealand roads this weekend. The year-to-date toll on Friday stood at 325 – exactly the same as the same point in 2017, which turned out to be the deadliest on New Zealand roads since 2009. This year's road toll kicked off 135 minutes into the year when a 69-year-old Tauranga man was killed in a two-car collision at the Maungatapu Bridge on State Highway 29A, at 2.15am on New Year's Day. The toll climbed to two in a collision between a motorbike and ute in Masterton at 5.30pm that day. National road policing manager Superintendent Steve Greally says under-resourcing and staff prioritised elsewhere in 2017 meant the compliment of 1070 road police officers was 111 short. Extra Government funding had boosted that number back to 1070, and Greally hoped that would play some part in starting to bring the toll back down – both through people's fear of being caught and people actually being caught. But even if the road policing numbers tripled there would still be those who took unnecessary risks and died on our roads, he said. "A moment of madness and things will never be the same for these people." 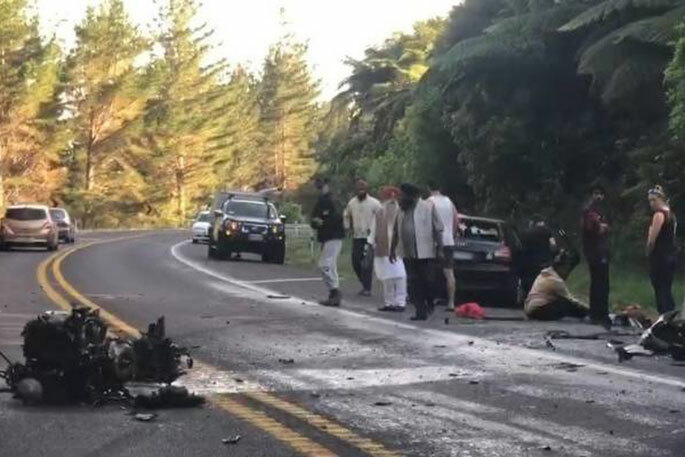 AA road safety spokesman Dylan Thomsen says the recent increase in fatal crashes was in some ways a return-to-form for New Zealand. Years such as 2010 had similar road tolls but then the number of deaths dropped significantly early this decade before rising again. While an increased population and more driving kilometres played some part, it was a mystery why the road toll had increased so much. Other developed countries were going through a similar increase - or slowing down of improvement - but New Zealand was the worst, Thomsen says. This year's toll jumped when four motorcyclists were killed on New Zealand roads on Saturday. Motorcycle Safety Consultants chief executive Allan Kirk says too many riders did not have the skills to operate a "difficult-to-ride and powerful machine that leaves the rider vulnerable in a crisis". "And many of these skills are not being taught to Kiwi motorcyclists. Too many riders know nothing about riding survival skills, especially the most essential one of how to reduce the chances of injury in a motorcycle crash."